This is a template where students are invited to keep a log / diary to record their soft skill experiences while on work placement. 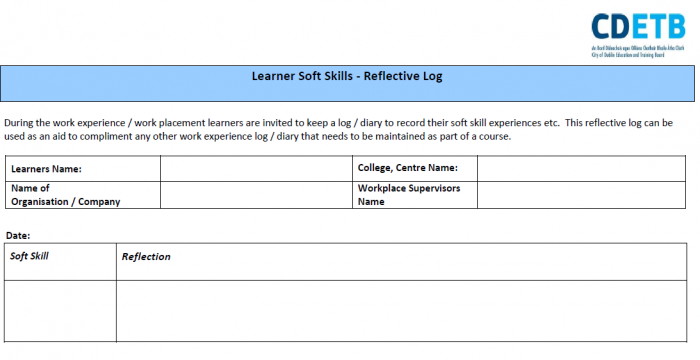 This reflective log can be used as an aid to compliment any work experience log / diary that needs to be maintained as part of a course. This template will facilitate students to record their reflections on their soft skill development while on the work placement as well as allow students to plan for future skills development needed for the workplace.